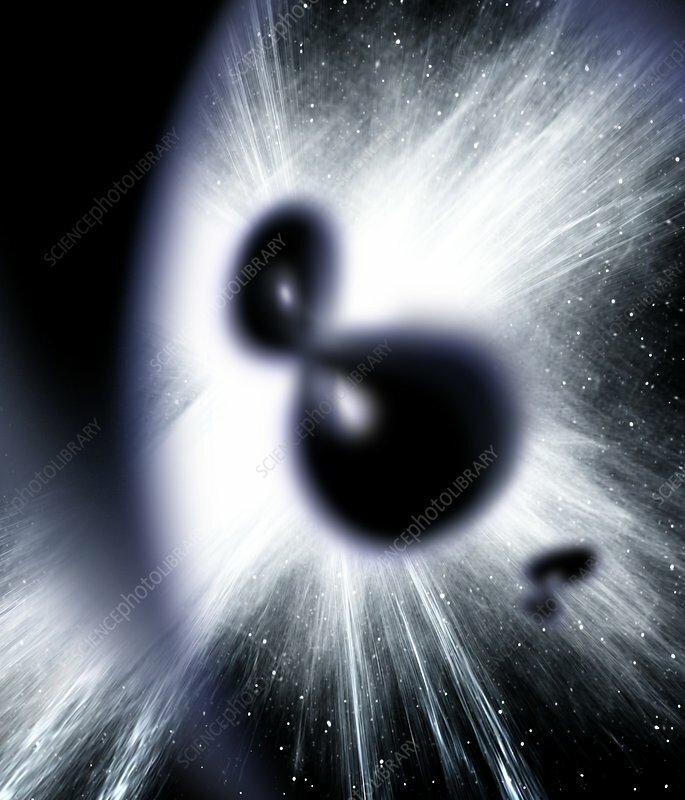 Dark matter, conceptual image. Computer artwork representing the presence of dark matter in the universe. Dark matter is a form of matter that cannot be detected by telescopes as it emits no radiation. It is thought that cold dark matter first formed after the Big Bang. It then collapsed under its own weight to form vast halos, which sucked in normal matter to form visible matter, such as galaxies (centre).